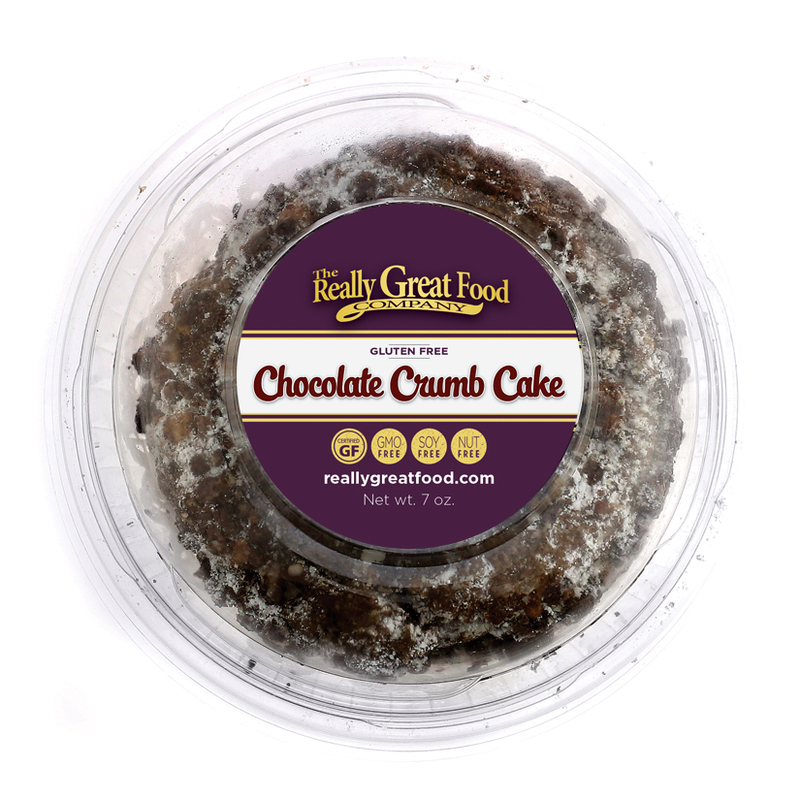 Moist, delicious, scrumptious chocolate cake topped with a delicious layer of irresistible crumbs. It's almost impossible to put into words how amazing this cake is. Try it once and you'll be hooked! 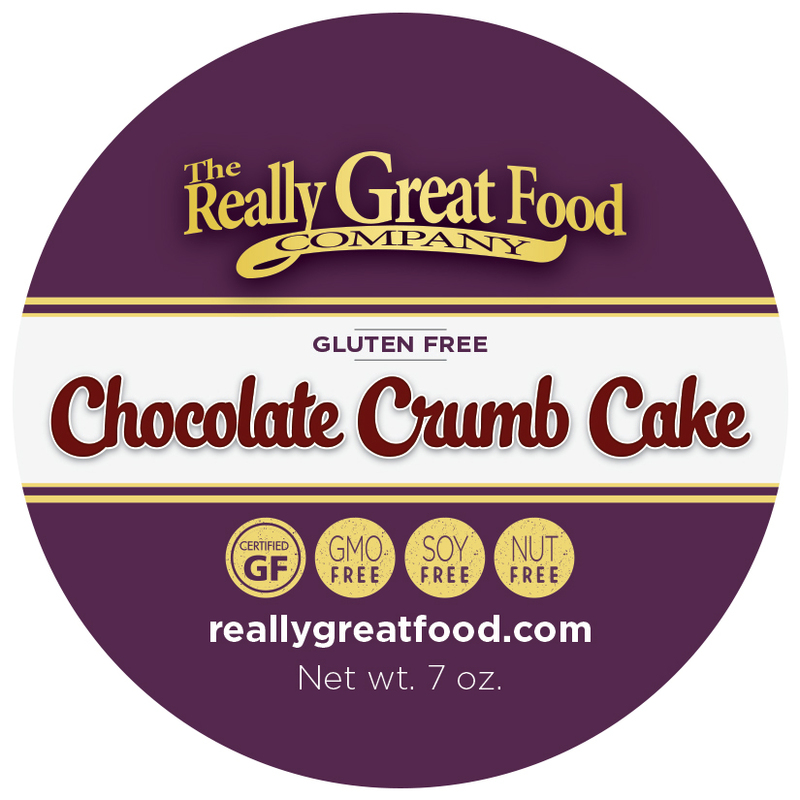 Yet another product from The Really Great Food Company that you won't believe is gluten free. 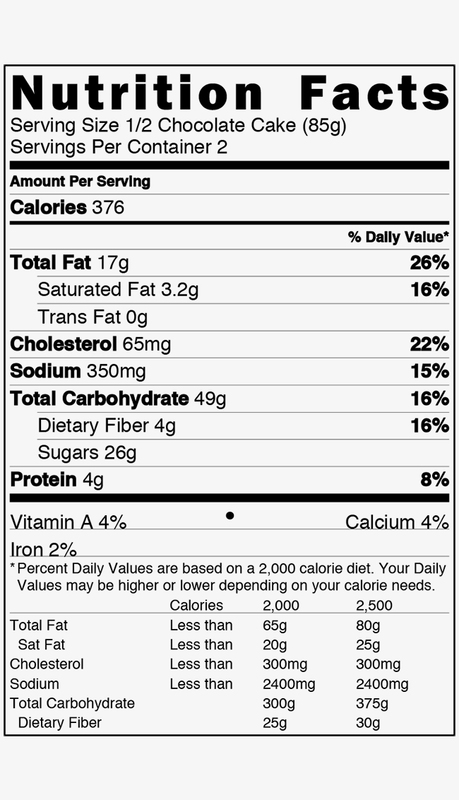 Sold in 4-packs. 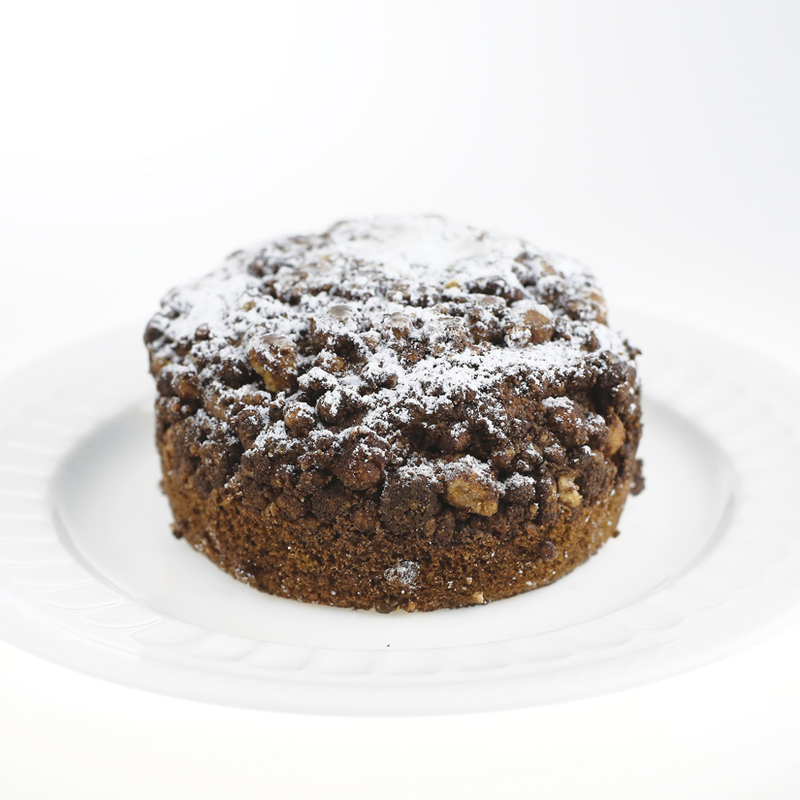 Each Chocolate Crumb Cake is 7 oz. & comes in individual round clamshell domes. When ready to eat, take out of freezer and let thaw naturally for about 30 minutes-1 hour.